A pressure canner is a deep, heavy kettle that has a rack on the bottom for jars to stand on, a tight-fitting lid with a gasket, and a pressure gauge. The gasket keeps steam from leaking out around the cover. If the casket is worn, stretched, or hardened, replace it.”  Fraser, Angela. Associate Professor/Food Safety Education Specialist. 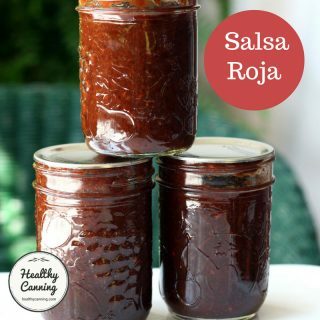 How Canning Preserves Food. Clemson University, Clemson, SC. Accessed March 2015. 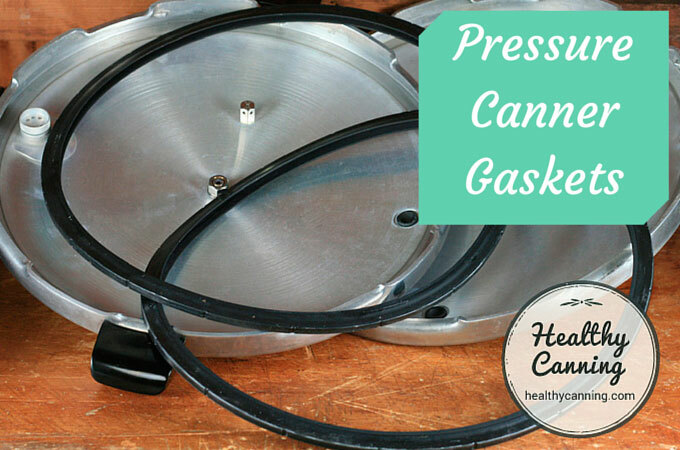 The pressure canner brands that use a gasket include Presto, Mirro and Fagor. 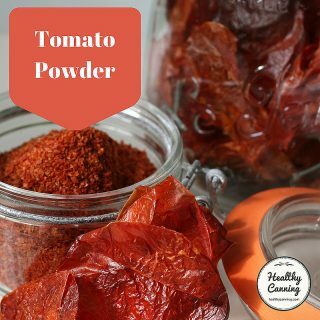 NCHFP recommends changing rubber gaskets and rubber overpressure plugs just as a routine matter of course every 2 years  Andress, Elizabeth L. Pressure Canning and Canning Low Acid Foods at Home. Cooperative Extension: University of Georgia. Powerpoint presentation, slide 36. Accessed March 2015. . Some people say they replace their gaskets every five years (but don’t say how often they use the canner). Others say they wouldn’t push it that long: “As to a gasket lasting 6 years one of these days you will have a gasket blowout. They get brittle over time and are less stretchy. That’s when they blow.”  User comment at https://www.canadianpreppersnetwork.com. March 2013. People say you’ll never know just how high you can jump until you’ve had an old, weak pressure canner gasket blow on you in mid-operation. Some end users say they always keep a spare replacement set handy. The question usually eventually arises of how long a “spare gasket” in storage is good for. 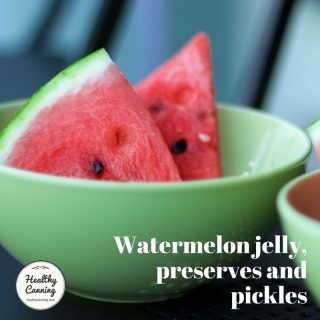 The University of Maine Extension seems to say five years: “Gaskets in unused lids work well for at least five years from their date of manufacture if stored in a cool, dry area.”  Let’s Preserve: Steps to Success in Home Canning. University of Maine Cooperative Extension. #4079. 2007. Page 3. Presto, however, says you cannot store spare gaskets at all: “We do not recommend storing them, rather buy fresh each time you need to replace the rings. The rubber can and will deteriorate over time. ”  Shelly at Presto Customer Service to healthycanning.com. 4/17/2015. Correspondence on file. This could make having a gasket fail on you right at the start of a canning session quite problematic. 1. ↑ Fraser, Angela. Associate Professor/Food Safety Education Specialist. 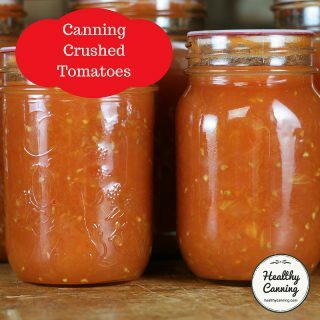 How Canning Preserves Food. Clemson University, Clemson, SC. Accessed March 2015. 2. ↑ Utah State University Cooperative Extension. General information about pressure canners. 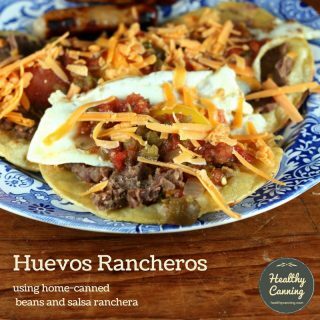 https://extension.usu.edu/utah/files/uploads/Master%20Food%20Preservers/PressureCanners.pdf. Accessed 2015. 3. ↑ Andress, Elizabeth L. Pressure Canning and Canning Low Acid Foods at Home. Cooperative Extension: University of Georgia. Powerpoint presentation, slide 36. Accessed March 2015. 4. ↑ User comment at https://www.canadianpreppersnetwork.com. March 2013. 5. 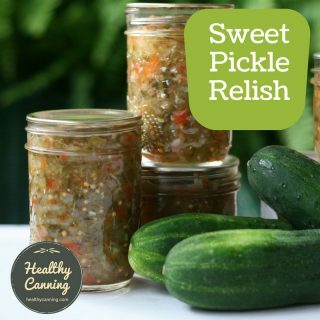 ↑ Let’s Preserve: Steps to Success in Home Canning. University of Maine Cooperative Extension. #4079. 2007. Page 3. 6. ↑ Shelly at Presto Customer Service to healthycanning.com. 4/17/2015. Correspondence on file. Probably not, but you’d need to check with the manufacturer of your canner.